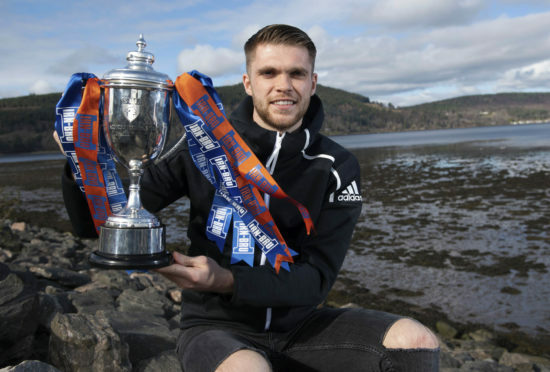 Marcus Fraser could lift the IRN-BRU Cup as captain today. The Staggies dropped out of the top flight on the final day of last season, ending a six-year stay that included two top-six finishes and a League Cup triumph. There have been little signs of a hangover this season however, with County well clear at the top of the Championship and all set for an immediate return to the Premiership. Beating Connah’s Quay Nomads in Inverness this afternoon would be the first step on the road to redemption in Dingwall. Fraser said: “As players, you’ve always got to take responsibility for what happened. Certainly I will and the boys who were here last year do that. We want to repay the fans with performances on the pitch. If the trophies can come with it, that gives a wee bit back to them. “We’ll just look to go out on Saturday and do what we’ve been doing all season and try to win the game. It was horrible after the last game of the season at St Johnstone. It’s hard – so difficult. “A lot of things go through your mind. What are we going to do next year? It was a hard season and it took a full week to just to get over it and stop thinking about football. 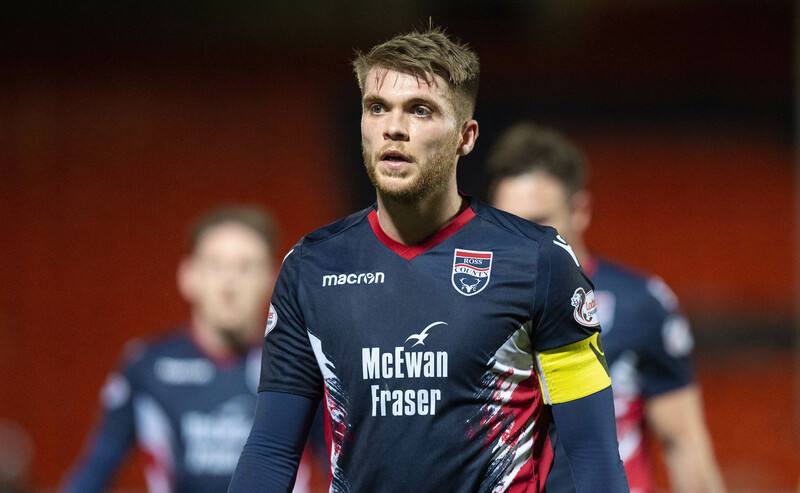 Ross County defender Marcus Fraser. Stuart Kettlewell and Steven Ferguson were handed the reins following relegation, after an intermediary period following Owen Coyle’s departure. The two have worked together seamlessly and ensured there has been no hangover after last summer’s disappointment. Fraser said: “They’ve done really well. When the chairman and board decided they wanted co-managers, people maybe raised their eyebrows, but I think they’ve done well just getting their heads down and not speaking too much about it. They haven’t worried about what everyone else is saying or doing, they’ve just got on with their own business. “They’ve helped me a lot. They’re easy to approach and quite understanding. When I speak to them, I always know I don’t have to twist up my words, I can just be open and they’re open with me in return.